The renowned landmark of the InterContinental Los Angeles Hotel resides on the prestigious Westside of the ‘City of Angels’. 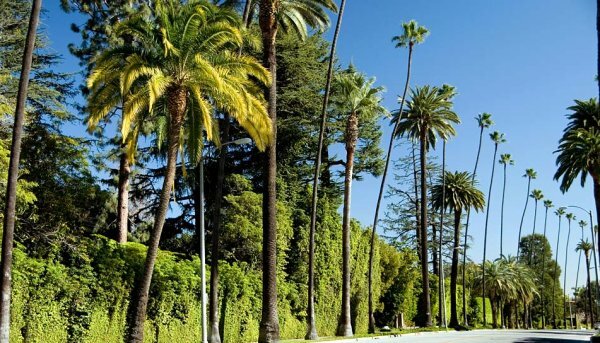 Minutes away from Beverly Hills, major entertainment studios and sun-drenched beaches, our location on Avenue of the Stars is the perfect base for discovering the best of Los Angeles. From the moment you step into our grand lobby, the experience begins. Enjoy a cocktail in the elegant Lobby Lounge, lunch in the stunning Garden Room, or just relax by the pool in the California sunshine. 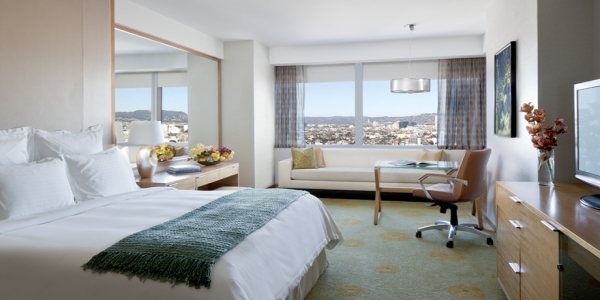 Unwind in our spacious and stylish guestrooms and suites, all of which offer inspiring panoramic views of Hollywood, Beverly Hills and the Pacific Ocean. Blending the glamorous Hollywood lifestyle with a commitment to personalized service, our exclusive property will charm and bewitch your senses. 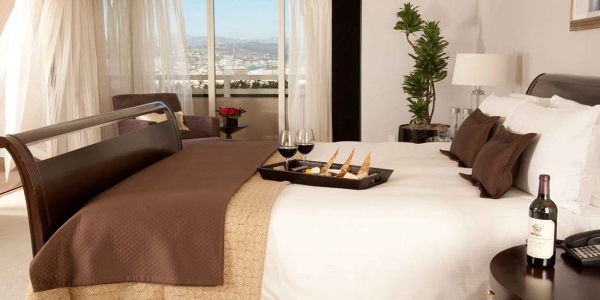 Reserve today and discover what is uniquely InterContinental Los Angeles. Wonderfully close to everything, our Century City location is the ultimate Hollywood address for living the LA lifestyle. 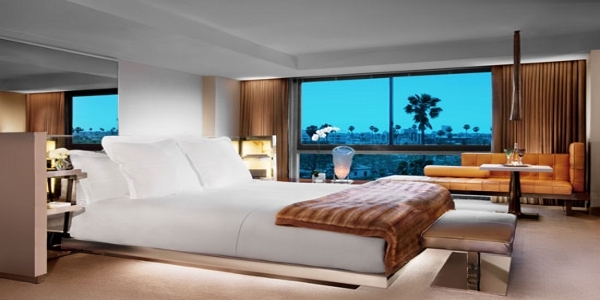 At our full-service Los Angeles luxury hotel, experience everything from gourmet dining to a Zen-inspired spa. To savor the glittering LA-style restaurant scene, you never even have to leave the hotel with globally-inspired California fare at Park Grill. 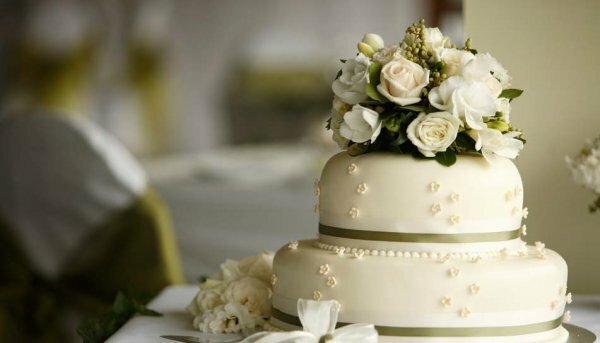 Or don’t even leave your room, 24-hour room service can always be delivered to your door. Stay in superstar shape at the 24-hour fitness center with cardiovascular equipment and steam bath, or take a dive in the gleaming outdoor pool and soak in the Jacuzzi. Keep reading, to check out the entire lineup of luxurious amenities at the InterContinental Los Angeles Century City. 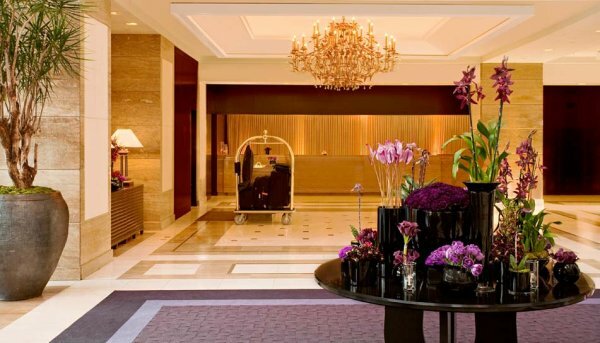 The InterContinental hotel in Century City Los Angeles is home to a fantastically indulgent spa with a full menu of enticing treatments, including massages, facials, body wraps and manicure/pedicures. Go ahead, you deserve to live life like a star. Work out anytime in the 24-hour fitness center with cardiovascular equipment and steam bath. Then, spend some time poolside working on your California tan. Our splendid outdoor pool and Jacuzzi are perfect for relaxing. 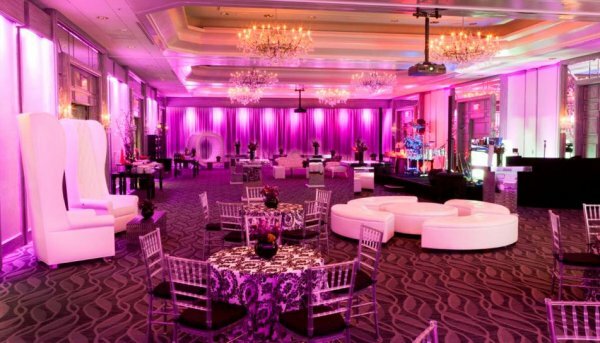 Our hotel near the Los Angeles Convention Center is a simply splendid space for professional events and celebrations of any size. 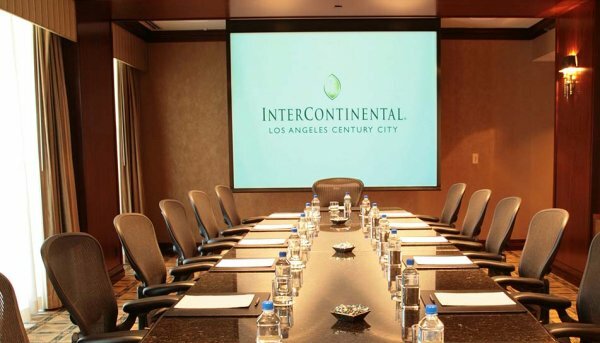 With 16,650 square feet of elegantly tailored events space, the InterContinental Los Angeles Century City can offer you everything from intimate boardrooms to a Grand Ballroom for up to 400. 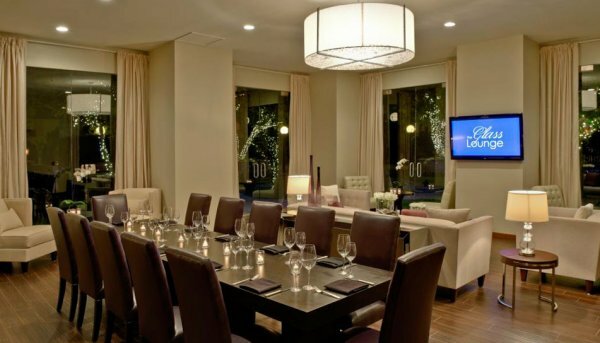 Just down the street from the Hyatt Regency Century Plaza, our Century City hotel location near the Convention Center is a wonderfully central location for holding LA events. Get a taste of the LA lifestyle inside any one of our 361 guest rooms and 148 spacious suites. 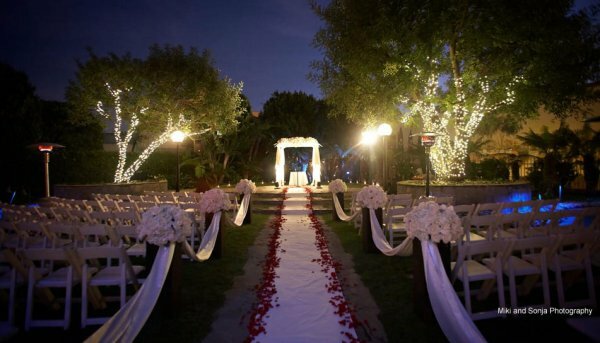 Our luxury Beverly Hills hotel stretches 16 glorious stories into the sky. Our elegant accommodations start at 425 square feet with private balconies that open out onto spectacular panoramic views of the Pacific Ocean, the Los Angeles skyline and the world famous Hollywood sign. 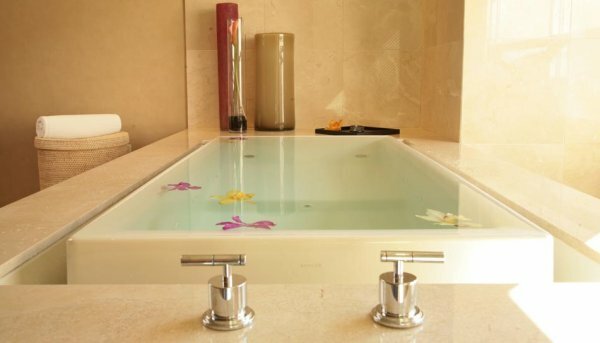 The Italian marble bathrooms all have an oversized bath tub and separate walk-in shower. State-of-the-art amenities like a flat-screen HDTV with premium cable, in-room movies, wired and wireless high-speed Internet access come as standard. Beautifully accommodates from two to four adults with one King Bed or Two Double Beds amid modern living amenities including a private walk-out balcony, bath tub and separate walk-in shower. Superior Rooms are approximately 425 square feet. Beautifully accommodates from two to four adults with one King Bed or Two Double Beds and features a large sundeck balcony – perfect for sunny California days. Features one King Bed and 575 square feet of space to relax in splendid comfort with modern living amenities like walk-out private balcony, bath tub and walk-in shower. The separate living room features a seating area with sofa bed and armchair as well as a large work desk. 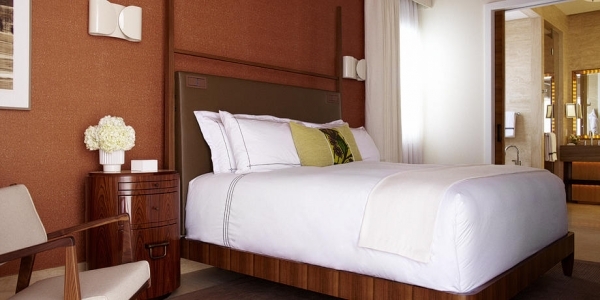 Our spacious Executive Suites feature a King Bed amid 700 sumptuous square feet of designer furnishings. With a host of executive-style living amenities, including a separate living, dining and work area. The Executive Suite with sundeck features a 200 square foot terrace with stunning views of the Pacific Ocean and the Hollywood Hills. These unique suites feature a King Bed and a separate living, dining and work area. Indulge in 1,650 square feet of majestic luxury with breathtaking panoramic views of the Ocean. Newly remodeled with designer furnishings, our Presidential Suite beautifully accommodates two adults in splendid comfort. Features include a large living and dining room, butler’s kitchen, whirlpool bath tub, large walk-in shower and guest washroom. 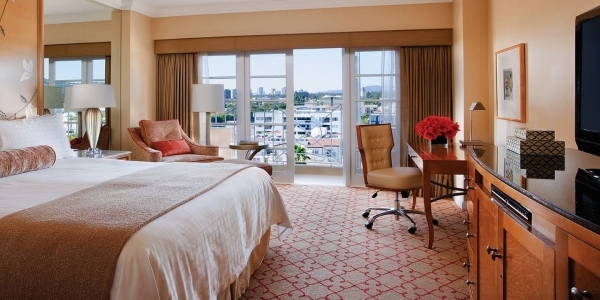 The spectacular Royal Suite offers 3,300 square feet of exceptional elegance and style for the ultimate LA experience. Recently redesigned to the highest level of comfort and luxury, the Royal Suite includes a spacious living area with stained hard wood floors, media room, two large bedrooms, private wrap-around balcony and a Butler’s kitchen. The master bathroom with its whirlpool bath and large walk-in shower, features outstanding views of the Hollywood Hills. 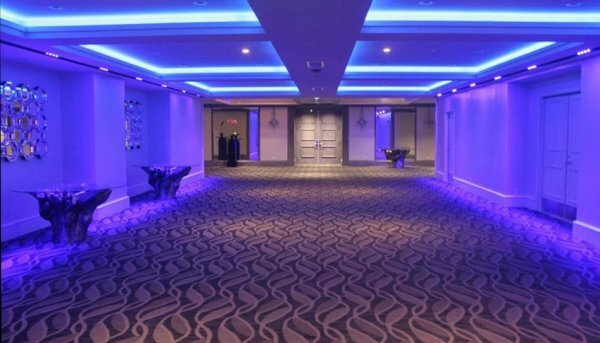 The Prince Suite is available for social events. Park Grill offers a relaxed approach to eating with shared plates and tapas style dishes from all over the word offering guests a truly international flavor. 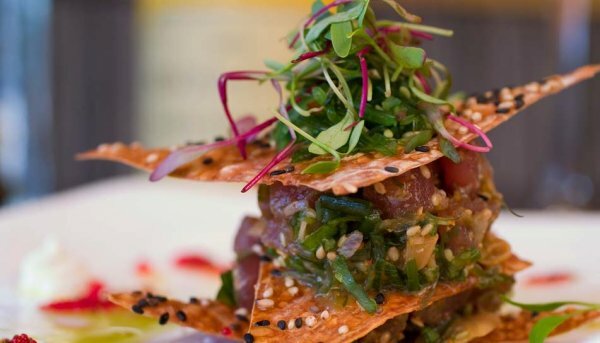 With dishes from Asia, Africa, Europe and South America, guests can enjoy Chef Jonathan’s unique spin on traditional appetizers and small plates any time of day or night. The elegant and stylish Lobby Lounge is the perfect spot for relaxed gatherings or impromptu business meetings. A casual dining menu of small plates is offered throughout the day, along with speciality martinis and fine wines. The Lobby Lounge offers a wide selection of classic cocktails as well as some spectacular signature martinis created by our very own Mixologists. Seasonal speciality cocktails and appetizers are also available along with live music three nights a week from Tuesday to Thursday.